Certainly it’s no secret that Toyota trucks are built to last. That’s why, in 2016, the Toyota Tacoma won Kelley Blue Book‘s “Best Resale Value: Mid-Size Pickup Truck” award and the Toyota Tundra was the victor in the “Best Resale Value: Fullsize Pickup Truck” category. Simply put, used Toyota trucks continue to retain their value and stay on the road year after year. With that in mind, we’re always searching Shawnee and its surrounding areas to find you the best used Toyota trucks we can find. Browse our inventory, then schedule a test drive at AutoMax Dodge Chrysler Jeep Ram today! We’re well aware that the Toyota Tacoma is still the best-selling compact pickup in America and that 90% of all Tundras sold over the last ten years are still on the road today. There’s no arguing with the facts. 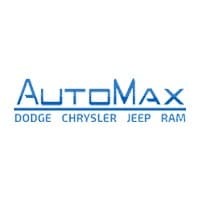 These are really desirable vehicles for people in the market for a used truck, and offering you exactly what you’re looking for, no matter what make or model, is something the staff at AutoMax Dodge Chrysler Jeep Ram prides itself on. From our competitive financing to our expertly-trained service department, we make sure that your visit with us is totally stress-free, whether you’re purchasing a car or simply visiting us for regular maintenance. Take a moment to learn more about us, then visit our showroom in Shawnee.